I never tire of visiting the lovely gardens and museums at Heritage or writing about my visits there. Each year brings new and exciting exhibits in the museums and, as always, the verdant gardens offer vibrant and fragrant blooms for each season of the year. We are fortunate to be able to walk there from our historic bed and breakfast. 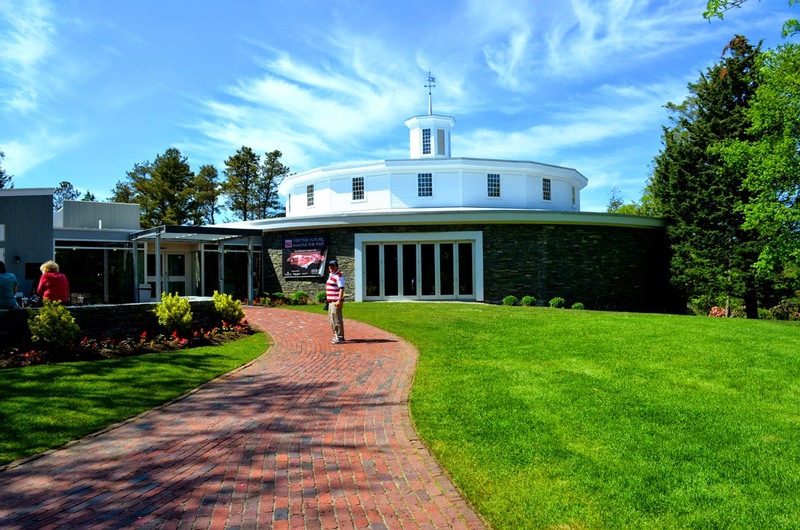 Heritage Museums & Gardens will be opening for the 2015 season on April 18th. This season brings several particularly exciting exhibits and events that you will not want to miss. Among them, an international conference, an exhibit featuring one of America's most well-known family of artists, an outdoor nature exhibit, and an "aerial" adventure. The much anticipated show, The Wyeths: America Reflected, will open on June 6th and will include paintings from three generations of this famous American family of artists. You will have the opportunity to view the works of N.C. Wyeth, Andrew Wyeth, and Jamie Wyeth. Each year Heritage features an outdoor exhibit that combines the work of artists with the natural beauty of the gardens. This year, also opening in early June, will be Secret Shelters. These structures were designed by artists and architect for the purpose of meditation, contemplation, and creation in a natural setting. They will be tucked in among the flora and fauna in hidden places throughout the gardens. Half the fun will be finding them all. Most folks are very familiar with the Heritage rhododendrons that are truly resplendent in the early summer months. In recent years, working in concert with the Cape Cod Hydrangea Society, the hydrangea collection is expanding and has become increasingly popular with visitors to the gardens. This seems a befitting trend as the climate on Cape Cod is particularly suitable for growing hydrangeas. As the peak blooming season is in July, Heritage will host an international conference on July 14, 15, and 16 featuring this magnificent bloom. There will be lectures, tours, and displays by major hydrangea suppliers. Local nurseries will have hundreds of hydrangeas available for you to see and to purchase. Contact Heritage for details and to register for the 3-day conference. 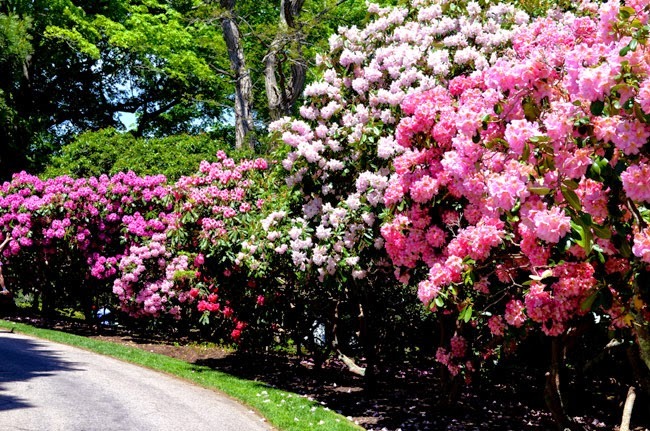 A new outdoor exhibit with an aerial feature will open this spring on four acres in the area where Charles Dexter created hundreds of varieties of rhododendrons. It will surly offer a new perspective of the famous Dexter Rhododendrons. While wearing safety harnesses, visitors will explore five aerial trails with various degrees of difficulty, and a truly spectacular view of the gardens that has not been previously available. I hope to be one of the early explorers and will post a blog with video at a later date. 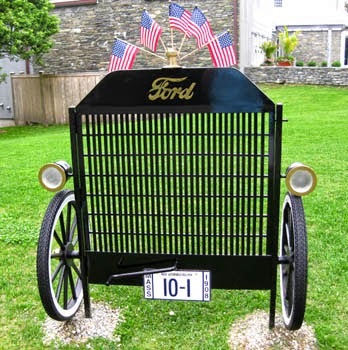 In the always popular auto museum you will find "Driven to Collect", an exhibit of some of the finest antique automobiles in the Heritage collection. We are looking forward to many trips to Heritage Museums & Gardens this year and hope to meet you above the treetops. Come stay at our bed and breakfast and spend a day at the gardens.